You are looking for documents in French? 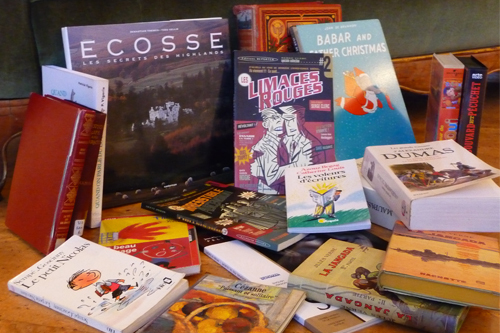 Here is a great occasion to buy French books for a really wee price. Come and spend a moment strolling about the Institute’s gallery to take advantage of our big library clearance event. Hunt for novels, comics, CDs, VHS, magazines, and children literature and go home with them for just a few pounds! A few weeks before Christmas, this is a really good occasion to get some original French documents at a bargain price... A word to the wise!